In celebration of NSW Senior’s Week (14-22 March 2015), the Art Gallery of New South Wales is pleased to announce the expansion of its national leading access program – Art and dementia – during 2015. 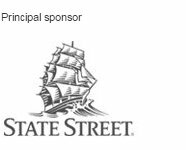 The program – of which State Street is a principal sponsor – offers people with dementia and their carers the opportunity to experience meaningful and interactive engagement with artworks from the Gallery’s collection. Through harnessing the power of creativity, it aims to improve visitors’ social engagement and self-expression. Art Gallery of NSW director of public engagement Jacquie Riddell said: 'We are committed to providing stimulating and inspiring experiences for all people of New South Wales, including those living with dementia. The Gallery aims to double its current number of access program participants per year by developing a more regular and expansive program. 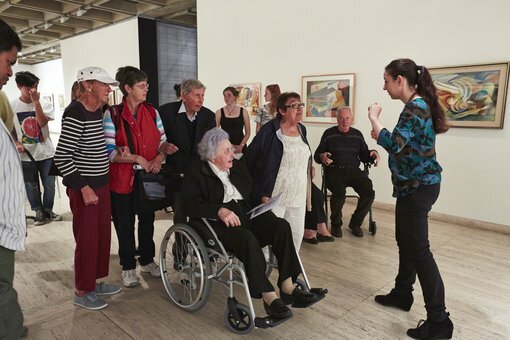 This will see an increase in outreach visits to Sydney-based community organisations that support people with dementia, but are unable to access the Gallery. The Gallery will also run tailored in-service sessions for careers and community workers, focusing on selected artworks from the Gallery collection. During the year, additional resources will be added to the existing in-house art and dementia program to increase visitor participation in free group sessions held on Thursday and Friday mornings year-round. This includes the development of sensory and tactile material. The announcement coincides with the commissioning of a research report by the University of Technology Sydney (UTS) to evaluate arts engagement for people with dementia. The project will be led by Dr Gail Kenning, Research Associate in the Faculty of Arts and Social Sciences at University of Technology Sydney, and will involve qualitative assessment of the art and dementia program at the Gallery during 2015. The art and dementia program is a structured experience of three selected artworks for people with dementia and their carers. Engagement with works of art triggers both intellectual and emotional responses in the participants. Running since 2006, access programs at the Art Gallery of NSW focus on enquiry-based techniques to facilitate the experience and allow participants to reach their own interpretation of works of art through observation, discussion and making connections. Looking and interpreting original works of art create opportunities for making connections to individual’s lives, recalling stories of the past and creating new stories. Currently, the Gallery has 40 trained volunteer guides who assist with the art and dementia program.